King Henry VIII was married on January 25, 1533, secretly marrying his second wife, Anne Boleyn. Henry’s desire to end his first marriage and take a new wife led to a major split with the Catholic Church. A more public royal wedding took place on January 25, 1858. The bride was Princess Victoria, daughter of England’s Queen Victoria. After Mendelssohn’s “Wedding March” was played at the ceremony, many future couples chose to use the song at their weddings. President Barack Obama and his wife Michelle danced to the same song at every inaugural ball in January of 2009: “At Last,” made famous by singer Etta James. James was born on this date in 1938. A girl named Elizabeth started life as a princess when she was born in England on September 7th, 1533. Her father was King Henry VIII. Her mother was Anne Boleyn. Elizabeth Tudor became queen of England when she was 25, and reigned for nearly 50 years. Citizens of Egypt got to elect their own president for the first time on this date in 2005. Before that, the Egyptian parliament chose the president. The winner of the election was Hosni Mubarak, who had already been president for 24 years. Mubarak’s opponents claimed the voting was rigged. 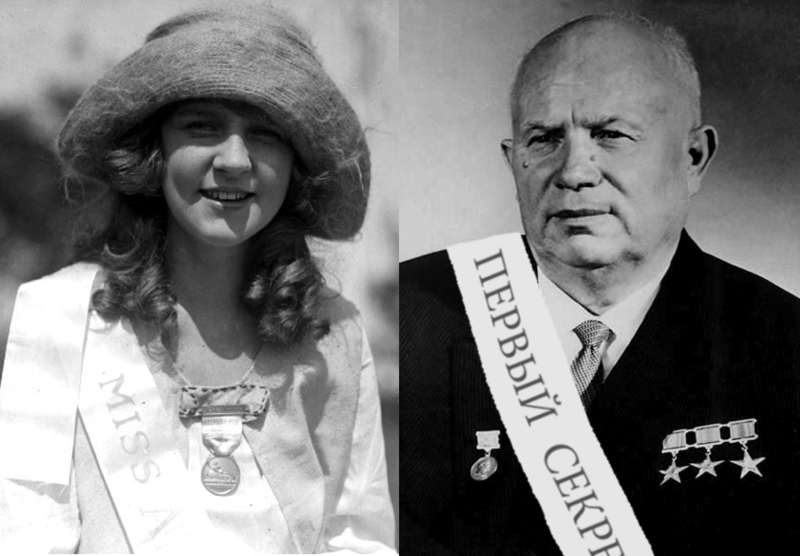 Nikita Khrushchev didn’t wait to be elected “First Secretary” of the Soviet Communist Party. He took power on September 7th, 1953, and remained in control for 11 years. And a two-day contest called the Atlantic City Pageant began in New Jersey on this date in 1921. Margaret Gorman, representing Washington, D.C., won that first pageant. It was a tourism gimmick, designed to bring visitors to the city after Labor Day, and was later renamed the Miss America Pageant. 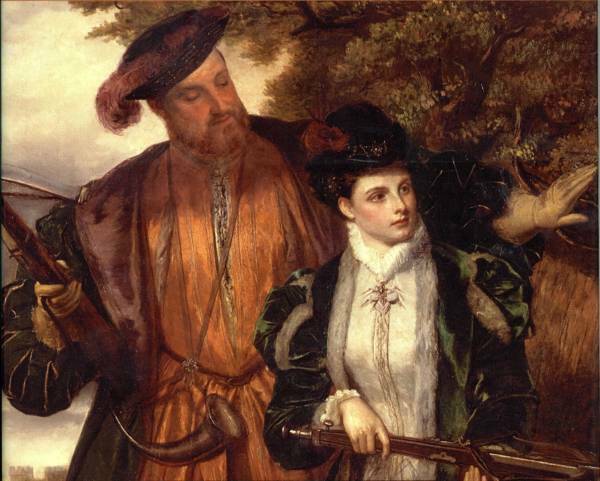 When wedding bells rang for King Henry VIII and Anne Boleyn, not everybody was happy. Henry had ended his first marriage so he could make Anne his wife, and eventually became the head of the Church of England. But on May 28th, 1533, the Archbishop of Canterbury declared that the king’s new marriage was valid. The most famous bell in England, “Big Ben,” was hauled by 16 horses from the foundry where it was made to the Palace of Westminster on this date in 1859. The 13-ton bell still rings on the hour inside the palace tower. 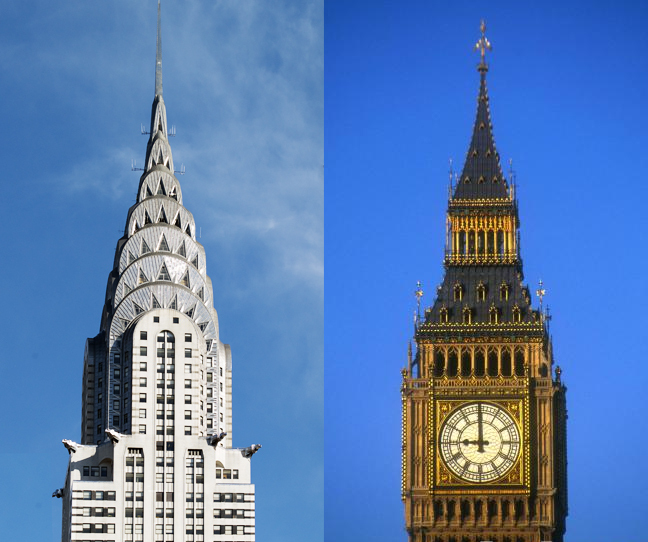 On May 28th, 1930, the Chrysler Building towered over every other building in the world, when it opened in New York. It lost the honor of being the world’s tallest building less than a year later, when the Empire State Building opened several blocks away. King Henry VIII and his relatives made history on May 19th in different years. On this day in 1499, Catherine of Aragon was married by proxy to Henry’s brother Arthur, the Prince of Wales. When Arthur died months after their formal marriage, it was arranged for Catherine to marry Henry. Henry ended his marriage to Catherine so he could marry Anne Boleyn. But after Anne did not give Henry a male heir, he had her tried for treason. Anne was beheaded on May 19th, 1536. Henry and Anne’s only child, Princess Elizabeth, eventually became queen of England. On May 19th, 1568, Elizabeth had her rival, Mary, Queen of Scots, arrested. Two very tall actors associated with princesses were born on May 19th. Andre the Giant (born 1946) played Fezzik in the movie “The Princess Bride.” And Peter Mayhew (1944) appeared on-screen with Princess Leia while playing Chewbacca in “Star Wars” episodes IV through VII.